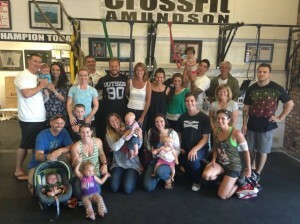 Infant Swim Rescue co-founder and CEO JoAnn Barnett is now part of our gym family! If you are interested in learning more about ISR, please speak directly with Greg Amundson to learn how ISR will be implemented at CrossFit Amundson and Santa Cruz County. JoAnn will be offering FREE Infant Swim Rescue training to children from our gym and from the Santa Cruz County Sheriff’s Office.